Our specialty plastic mulch films are made from 100% prime polyethylene. 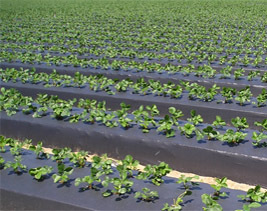 We offer our DURA-Smooth standard poly mulch film and our POLY-Shield mulch, fumigation barrier agricultural film. Both of these formulas offer a full season of UV protection. 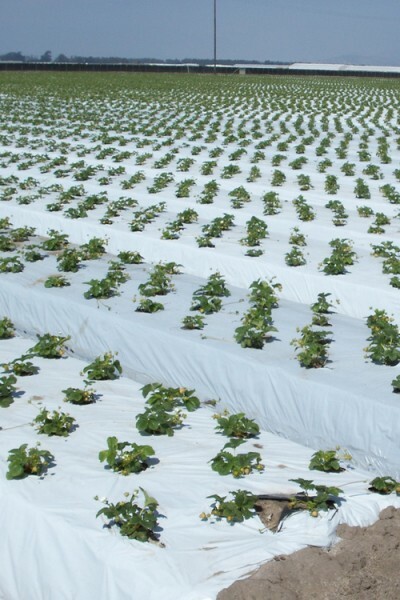 These agricultural plastic films are specifically designed for strawberry crops and are compatible with fumigants commonly used in this industry such as methyl bromide. 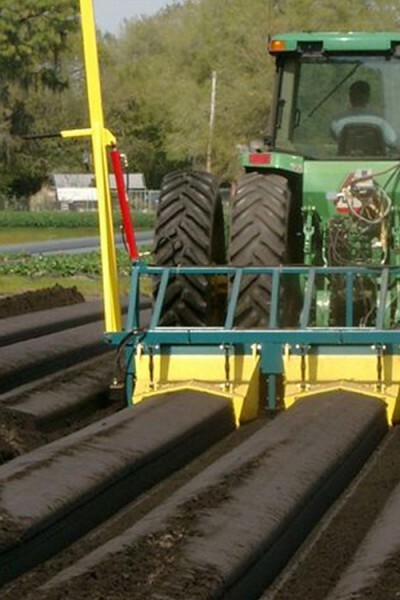 The poly mulch films are available with a center guide strip for easy lay down. We offer both DURA-Smooth standard poly mulch film and our POLY-Shield mulch, fumigation barrier film in clear, tinted, colored and black and white, multi-layered structures.